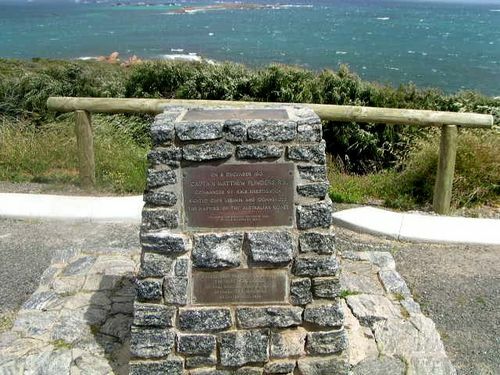 The monument commemorates the fact that Matthew Flinders commenced the mapping of the Australian coastline from a spot out to sea from Cape Leeuwin in December 1801. On 6 December 1801 Captain Matthew Flinders R.N. Commander of H.M.S. Investigator sighted Cape Leeuwin and commenced the mapping of the Australian coast. This memorial was erected by the Augusta Branch of the Royal W. A. Historical Society.